Most students overlook essay questions that shockingly aren't on the apps; our RoadMap members never miss questions. Most students waste hours writing more essays than they need to; our RoadMap members typically write half as many essays. get instant access to all of these "stealth" questions. The Common App doesn't mention any scholarship essay questions; our RoadMap members have access to 1,000+ scholarship essay opportunities. Most students don't know what makes for a great essay; our RoadMap members have access to winning essay samples and archived webcasts about how to write killer essays. Dan Stern, founder of College Essay Organizer, will host this final webcast of the year, covering all these points and more. Luck isn't an admissions strategy - this is. Click here to register now for our last FREE webcast on Tonight, December 16 @ 8 pm ET -- space is limited! 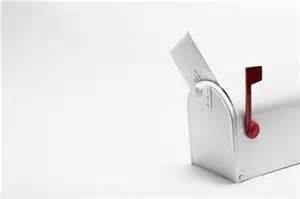 Two lucky participants will win personalized feedback on their essays. Didn't get in early? Or just procrastinating? Tuesday's webcast will help you finish strong -- and quickly! Didn't get in early? Or just procrastinating? Either way, it's now time to finish strong -- and quickly! And that's where I come in. As founder of College Essay Organizer and president of a leading admissions company, I have a ridiculous success rate getting applicants into their #1 choice colleges. I have seen all the pitfalls, and I have helped otherwise unremarkable students write essays that got them accepted to their dream schools. This is my final webcast of the year, and I'm eager to share key insider tips as well as answer all your individual questions. Click here to register now for this FREE webcast on Tuesday, December 16 @ 8 pm ET -- space is limited! Two participants will win personalized feedback on their college essays. 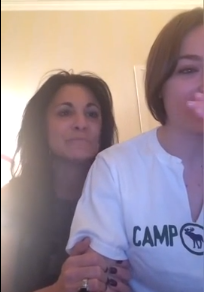 Posted in News | Comments Off on Didn't get in early? Or just procrastinating? Tuesday's webcast will help you finish strong -- and quickly! Good news for all seniors waiting to hear back from colleges! Those low acceptance rates do not reveal the whole story. If you’re a qualified applicant whose SAT scores are within the desired range and whose essays are strong, your chances of getting in are much higher! According to Kevin Carey’s recent article in the New York Times, The Truth Behind College Admission, “Top schools receive a substantial number of applications from underqualified students who are almost always summarily rejected. Once the wheat and chaff are separated, the success rate for the wheat looks better.” Parchment.com, a website that helps students submit college transcripts, found that students with competitive test scores who applied to at least one top school had an overall admission rate of 32 percent, and 80 percent of top students were accepted to at least one elite school. 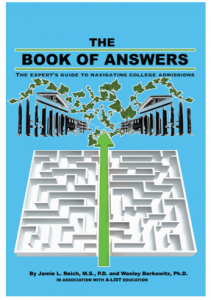 Include The Book of Answers: The Expert's Guide to Navigating College Admissions on Your Holiday Shopping List! At College Essay Organizer, we love to get you the answers you need to get you into your dream schools. 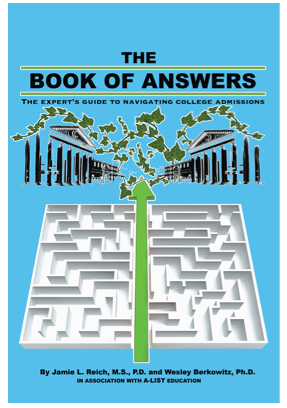 As you use your College Essay Organizer accounts to finish up the rest of your essay questions, The Book of Answers: The Expert's Guide to Navigating College Admissions will be an invaluable tool to provide you and any younger siblings with the answers to those common admissions questions. Written by two experts in college advising, Jamie Reich and Wesley Berkowitz, it will cover a range of topics including how to find both need-based and merit-based money for college, what colleges look for in applications, how to prep for standardized tests, the best way to study abroad, and how to deal with learning disabilities. Definitely a book to keep in mind as you do your holiday shopping! Posted in News | Comments Off on Include The Book of Answers: The Expert's Guide to Navigating College Admissions on Your Holiday Shopping List! This webcast will help students, families, and consultants explore various scholarship opportunities through both expected and unexpected sources. Jennifer Severini-Kresock has served for twenty years as a high school guidance director/counselor in the public school system, and has recognized the growing need for individualized college prep services. In 2012, she formed NEPA Career and College Counseling Associates, which provides students and families individualized assistance with all aspects of career and college planning. One lucky participant will win a free 15-minute Skype consultation on finding scholarships! To reserve your spot now, click here.